Moving is complicated and stressful in every way. It is not just about packing and moving belongings but entails a lot of time, patience and effort to undertake removal. Undoubtedly, the right temperament, perfect skill set and boundless hard work together pull out a successful move. While a DIY move may seem to be cost-effective, it involves a lot of mental, emotional and physical exertion. Any laxity or negligence can result in huge losses and damages. Thus, hiring professional movers is the best way forward. 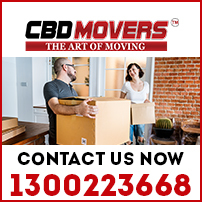 We, at CBD Movers™, are the finest and the most trusted movers in Melbourne. High-end vehicles, latest tools and techniques, and hardworking and proficient men; we possess all. Right from extending support to plan a move to getting down packing and moving belongings; we offer end-to-end relocation services. At CBD Movers, we offer a vast gamut of removal services. We understand that no two customers are the same. As needs and requirements vary, we offer customized solutions to best fit every budget. Our ‘Movers & Packers’ team specializes in extensive office and house removals. For moving fragile items and heavy furniture like pool tables, pianos, etc., we undertake ‘Two men &Truck’ services. We excel in packing and use suitable packing material to pack deftly. Our services are not bounded by boundaries. We hold the mandatory licenses and permits required for undertaking local, interstate and international removals without legal hassles. We have a huge and well-established network. Our vehicles are fully equipped and ensure a quick and safe move through varied terrains. At CBD Movers, we are competent and amongst the most reasonably priced movers in Melbourne. In fact, our policy to beat every written quote by 10% makes us the cheapest removalists in Melbourne. We provide comprehensive transit insurance for enhanced safety of goods during transit. Our operations are fully transparent and come with no hidden charges and clauses. Mooroolbark, a suburb of Melbourne, Victoria, Australia, is situated 31 kilometers east of the Melbourne Central Business District. Spread over an area of 13.3 square kilometers, it is home to nearly 21,000 people. A quiet and friendly suburb, Mooroolbark is packed with the latest facilities. 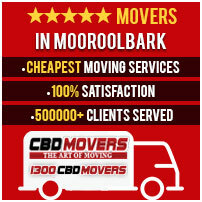 At CBD Movers, we extend our support and services to people moving in and from this beautiful suburb. Our top-rated services are available at the most reasonable rates. Call us at 1300 223 668, to learn more about our services.